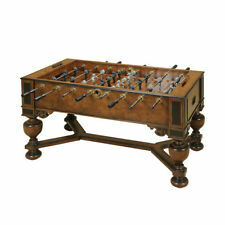 ANTIQUE FOOSBALL TABLE,"VERY RARE” APPEARS HAND MADE??? PLEASE HELP US ID IT??? 4.0 out of 5 stars. This page was last updated: 24-Apr 05:17. Number of bids and bid amounts may be slightly out of date. See each listing for international shipping options and costs.